Saturday, January 12th. 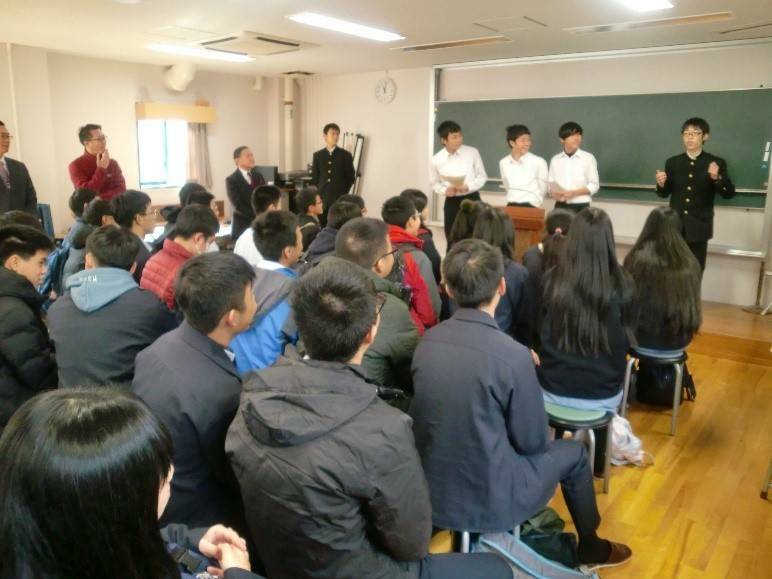 Fuzoku, Izumigaoka and Nisui High Schools Hold a Joint Presentation. 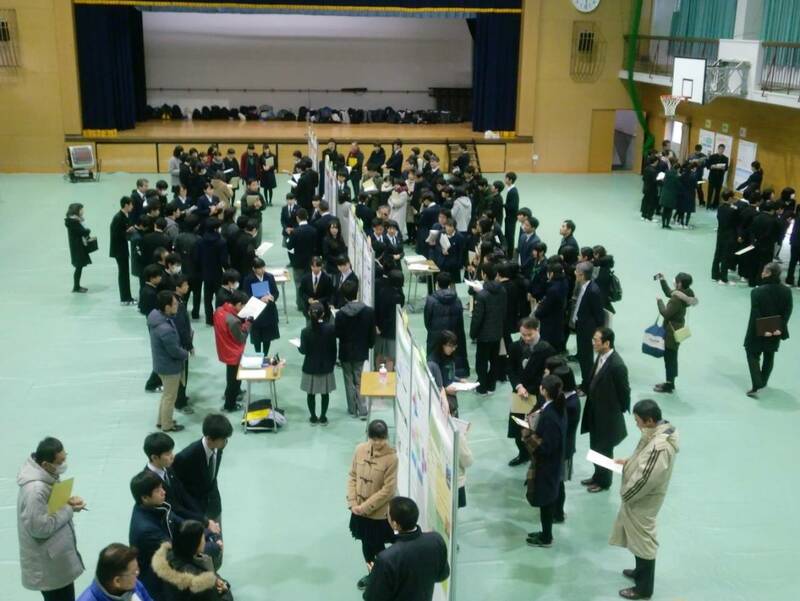 A research poster session was held by Kanazawa University Senior High School, Kanazawa Izumigaoka High School and Kanazawa Nisui High School. 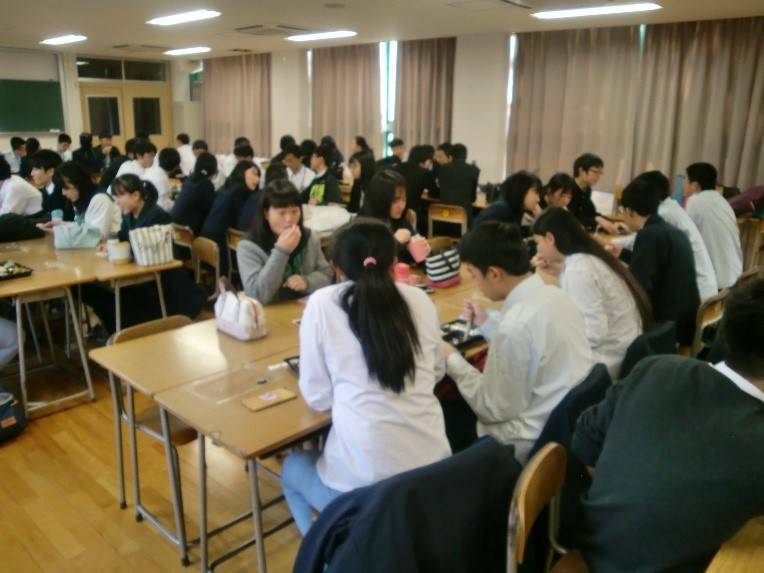 30 groups from Fuzoku, 10 groups from Izumigaoka and 8 groups from Nisui participated in the event. 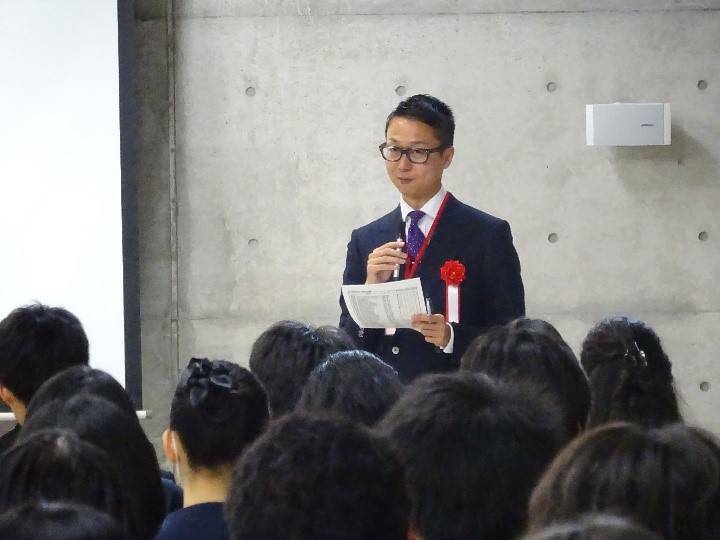 Various presentations were held, with themes ranging from global issues connected to SDGs to more everyday topics. Presentations were given with great enthusiasm, and there was also an active Q and A session. It was a very satisfying event, as there were over 30 outside visitors who came to watch the proceedings. 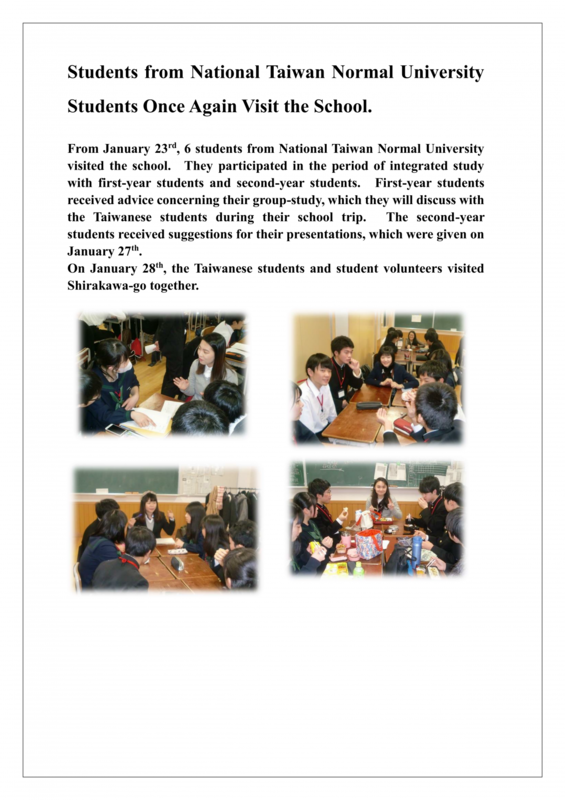 Thirty-three students from the senior high school affiliated with National Taiwan Normal University visited the school and interacted with the second-year students. At the welcoming ceremony, greetings were held in three languages – English, Japanese and Taiwanese – as well as with gestures. It was a fun and very lively meeting. 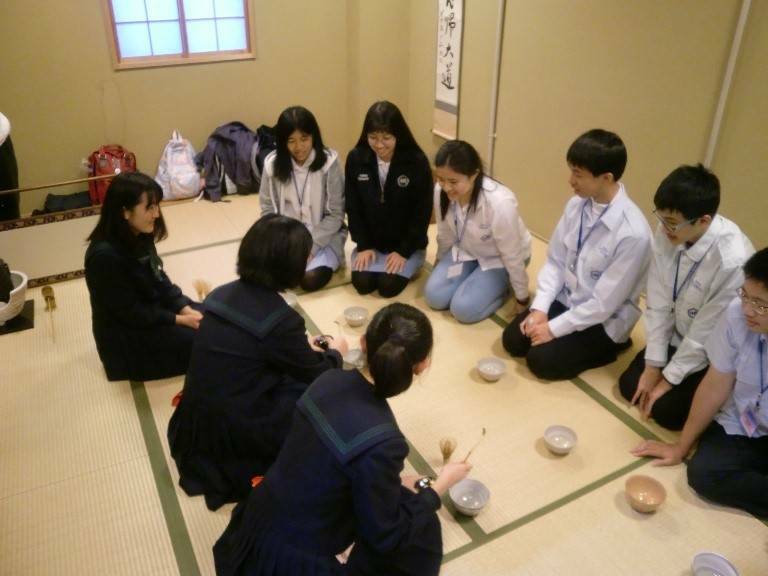 Following the welcoming ceremony, students divided into six groups and enjoyed recreational activities together, such as telephone (伝言) games. 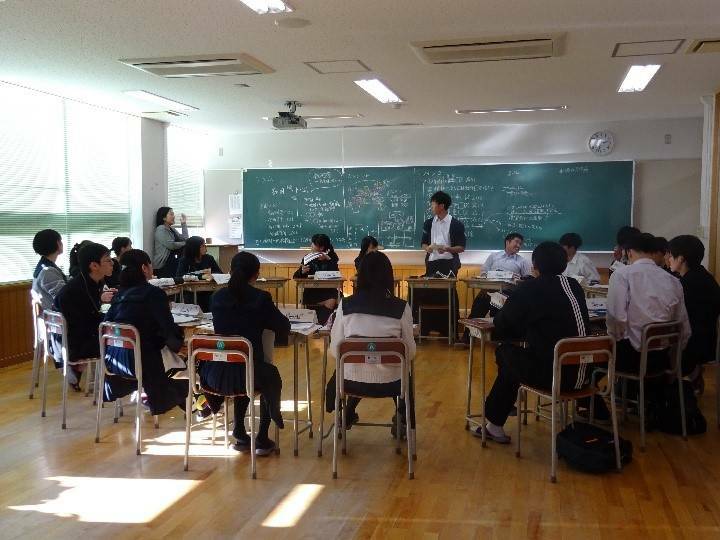 After the luncheon, the students visited class lessons and participated in club activities after school. Everyone had a great time and enjoyed themselves during this event. 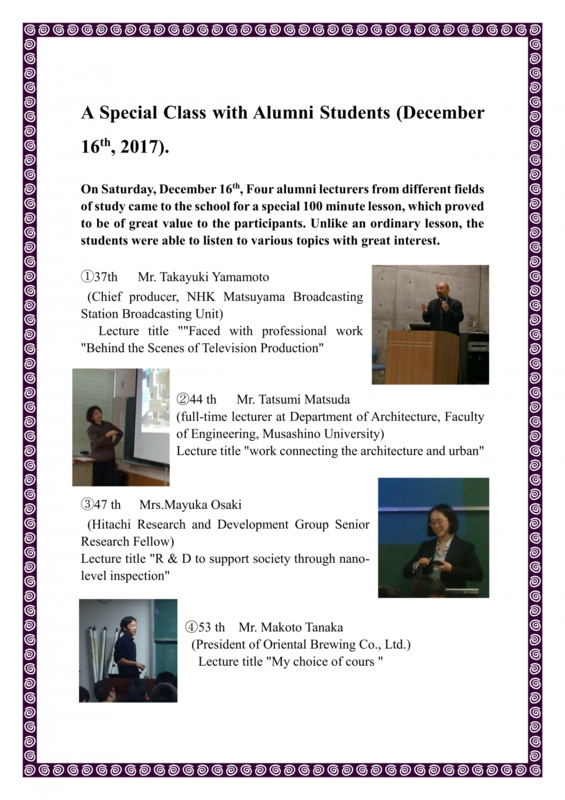 On Saturday, November 17th, the 5th SGH Research Conference was held. 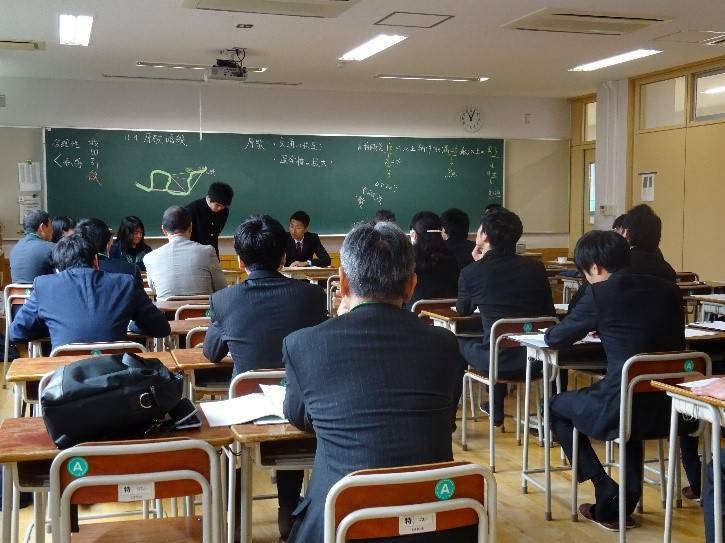 Organizational meetings and open classes were held in the morning, while comprehensive learning presentations were conducted in the afternoon. 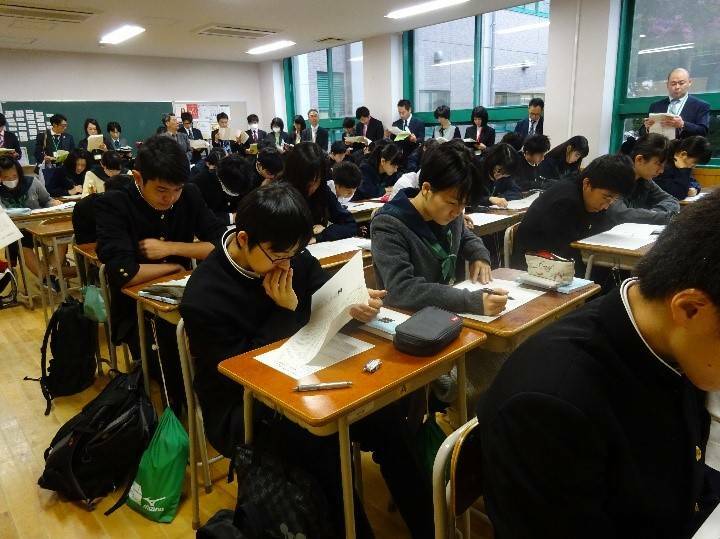 Following last year’s precedent was the well-received idea of allowing students to participate in the review meetings after open classes. 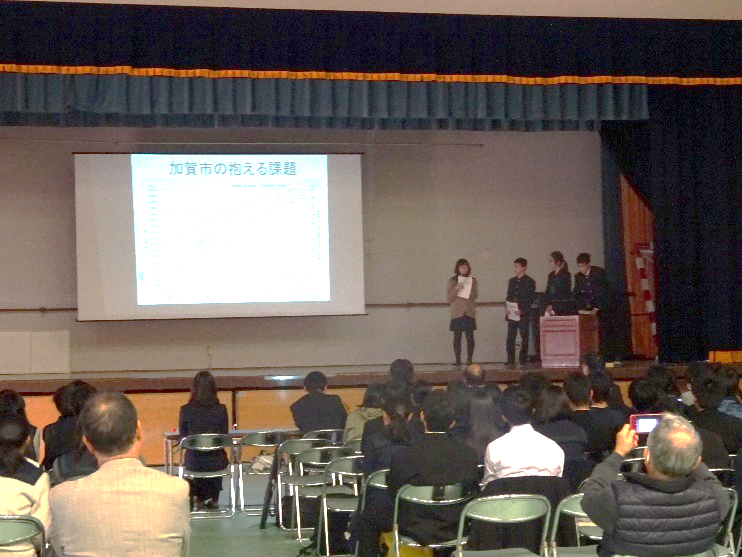 In the afternoon, first-year class representatives presented their research on regional issues. We welcomed five judges who were actively involved in the community, and the Best Award was decided. 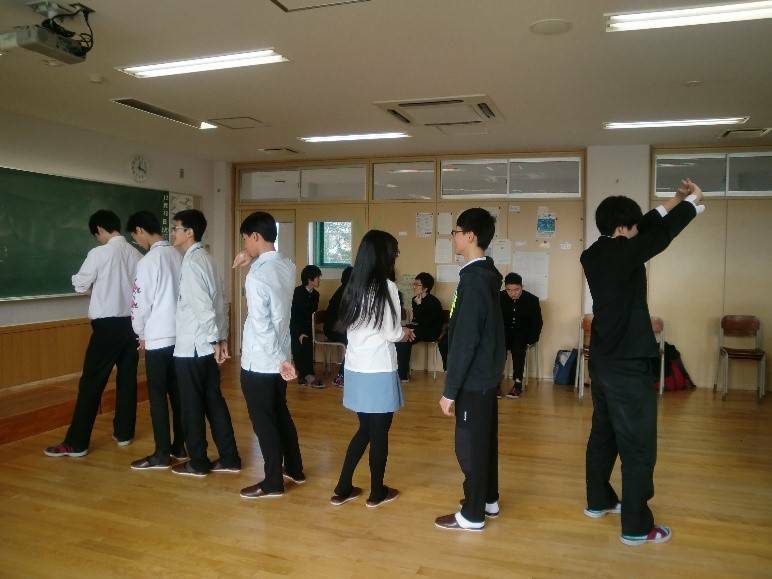 Second-year students delivered a global proposal by way of a mock international conference. 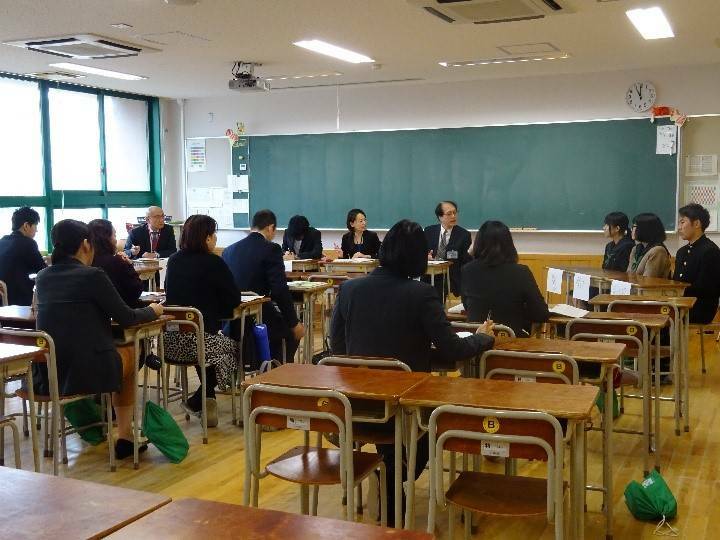 The proposal received comments from visiting lecturers from the Ministry of Foreign Affairs.